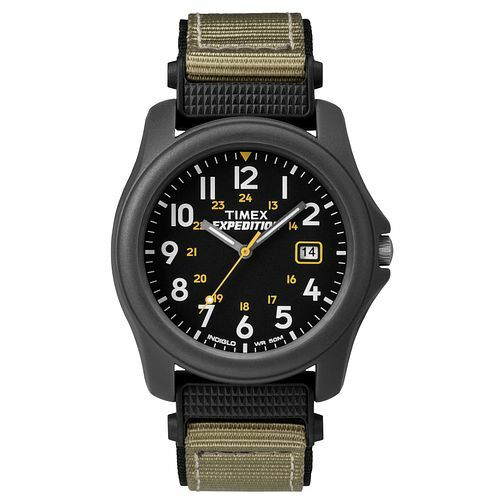 This Timex Expedition men's watch is the perfect timepiece to be worn everyday, for any adventure. Its black resin case holds an accurate quartz movement and the matching black dial features bold white Arabic numeral hour markers, date window, stand-out orange accents and Indiglo night light functionality. The dark grey fabric strap finishes this men's watch with a rugged, durable, sporty style perfect for all who wears it. This watch is also water resistant to 50 metres.